The holiday season is in full swing and the countdown to Christmas is on. 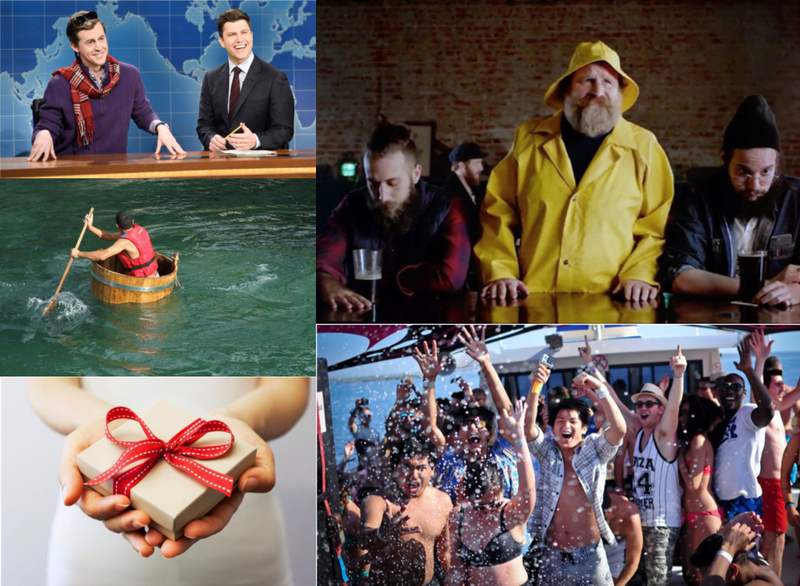 If you're a true watersports junkie, you'll want these accessories under your tree. The time is now to drop those not-so-subtle hints about what you’d like for Christmas. If you wait much longer, you won’t be able to get good rates on ground shipping. Nudge, nudge, wink, wink. And as long as you’re asking, you might as well gear your requests to your passion: watersports. Of course, some of these gifts won’t fit under the tree, but Santa doesn’t usually bat an eye, and neither should you. All of these gifts will put a smile on the face of the recipient on Christmas morning. These gifts are great for finding new things to do on the water, bring an older boat up to snuff or just make the time spent with your family more enjoyable. 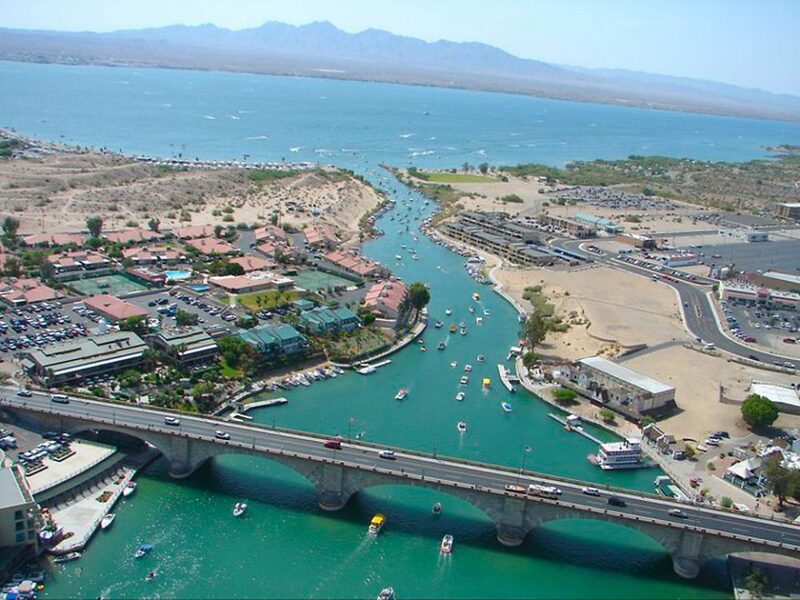 Here are eight of our watersports favorites this holiday season. Bote HD. Price: $1,449 to $1,749. The Bote HD (which we recognized as one of the Best Stand Up Paddle Boards), comes in 12-foot and 10-foot, 6-inch lengths and is available with Bote’s new “Gatorshell” technology, a seamless outer shell that resists dings even better than epoxy. That’s important if your board gets moved around a lot. And whose doesn’t? What’s more, the design features a sharp bow entry for cutting through chop and offering the ability to silently stalk fish in that far-away spot. The HD also comes with Rac Receivers for mounting accessories, bungee straps fore and aft, and Bote’s unique Travelink system, which allows users to connect a shoulder strap to make carrying the board much easier. For more information, visit Bote Board. Sharkbanz 2 Magnetic Shark Repellent Bracelet. Price: $69. 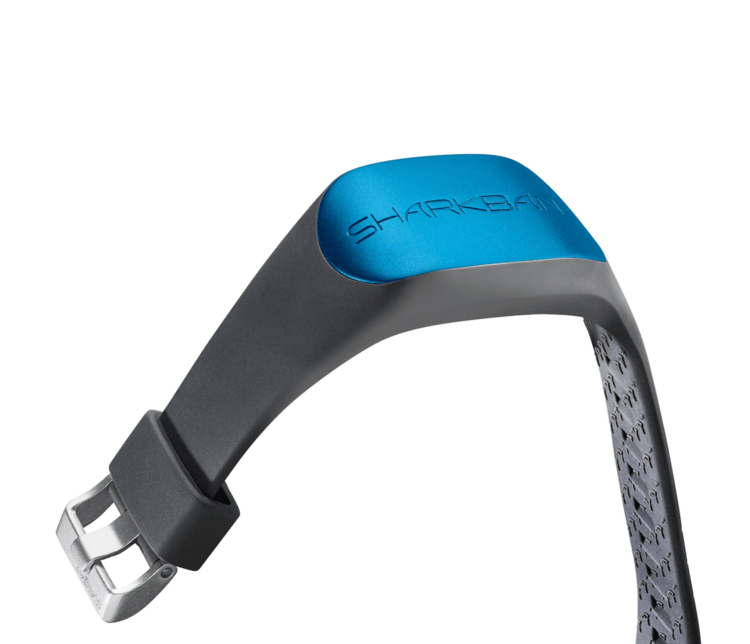 If you get that Bote HD paddleboard, you might appreciate the new Sharkbanz 2 magnetic shark repellent bracelet. Here’s how it works. Powerful permanent magnets cause an interaction between charged metal particles and saltwater to produce a weak electric field. That field disrupts the shark’s “sixth sense,” electroreceptive pores located in their snouts, called ampullae of Lorenzini. That magnetic field causes sharks to dart away. It’s like having a can of Off, but for sharks. It never needs batteries and there is no charging. Just put it on and swim in safety. For more information, visit Sharkbanz. 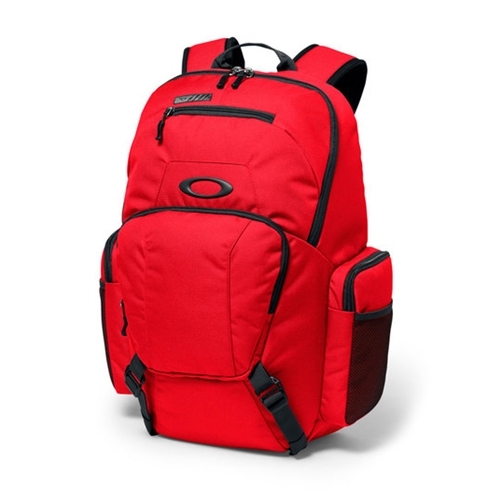 Oakley Blade Wet/Dry 30 Backpack. Price: $60. Boating and watersports means things can get splashed. For things you don’t want to get splashed, stash them in the new Oakley Blade Wet/Dry 30 backpack. Designed with saltwater resistant fabric that dries quickly to protect your gear from moisture, this 30-liter backpack is made of 100 percent polyester. It comes with front straps to carry your towel on the outside and pockets inside for eyewear, media and other places to keep everything in order. It’s even got a 15-inch padded laptop sleeve. Eight.3 Wakesurf Shaper. Price: Retail is $399, but you can pick one up as cheap as $199 on Amazon. If your boat was built before the wakesurfing craze took off, you probably don’t have all the wake tuning devices that make surfing genuinely possible. But your boat is paid for, and that’s more important, right? 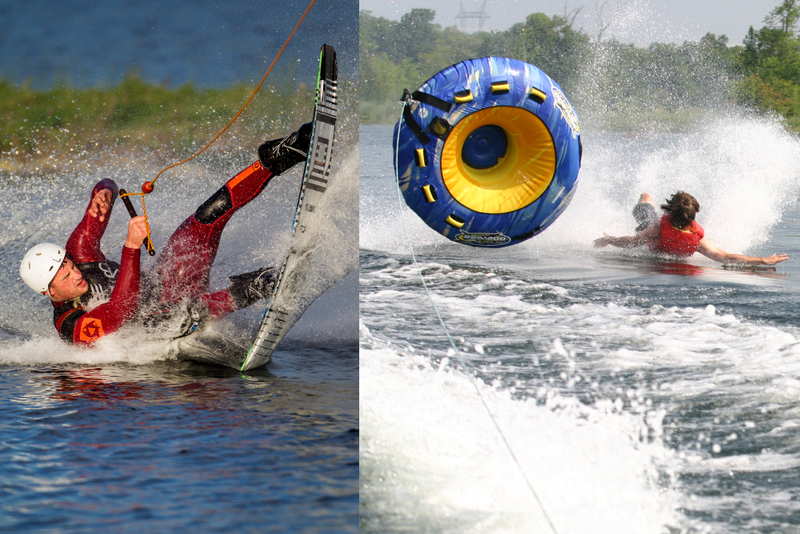 We get it, and that’s what makes the Wakesurf Shaper so cool. 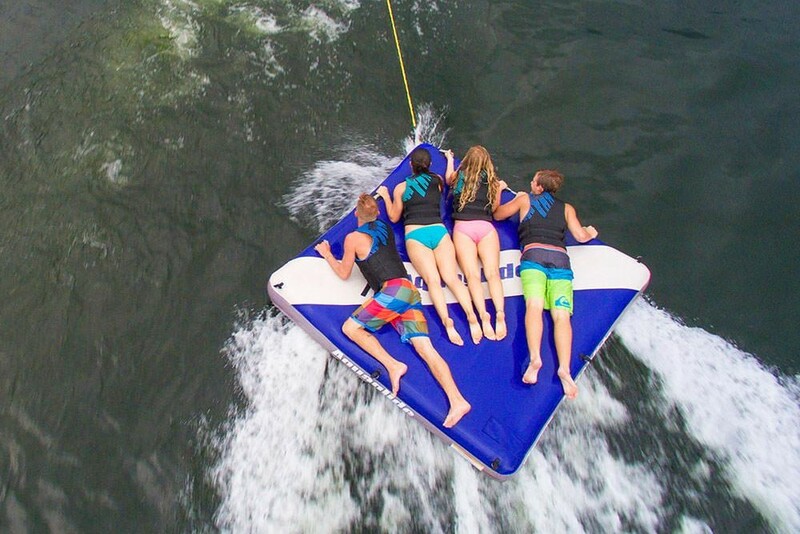 The Eight.3 Wakesurf Shaper is a triangular shaped device that connects to your boat with Velcro to direct a column of water to create a genuine surf wake from older wakeboard boats. You no longer need to weight the boat unevenly. When mounted closer to the stern, the wake becomes steeper, and deeper. 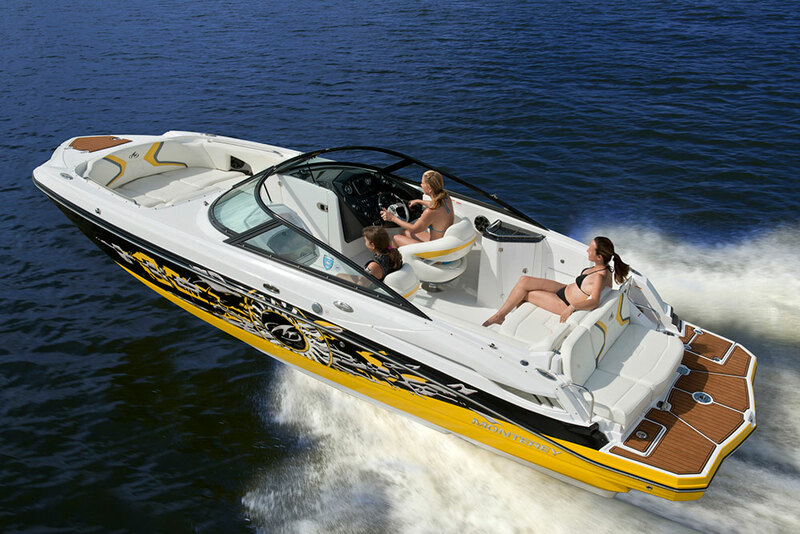 When mounted farther forward, the wake gets a longer sweet spot. Just stick on and go. For more information, visit Eight.3. Gladiator Slalom Trainer Ski Rope. Price: $30. 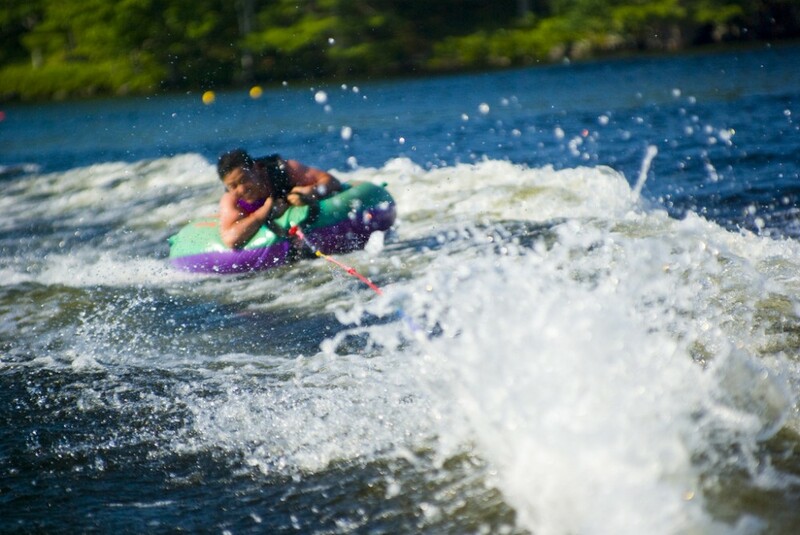 Teaching people to do a deep-water start on a slalom ski can test your patience. 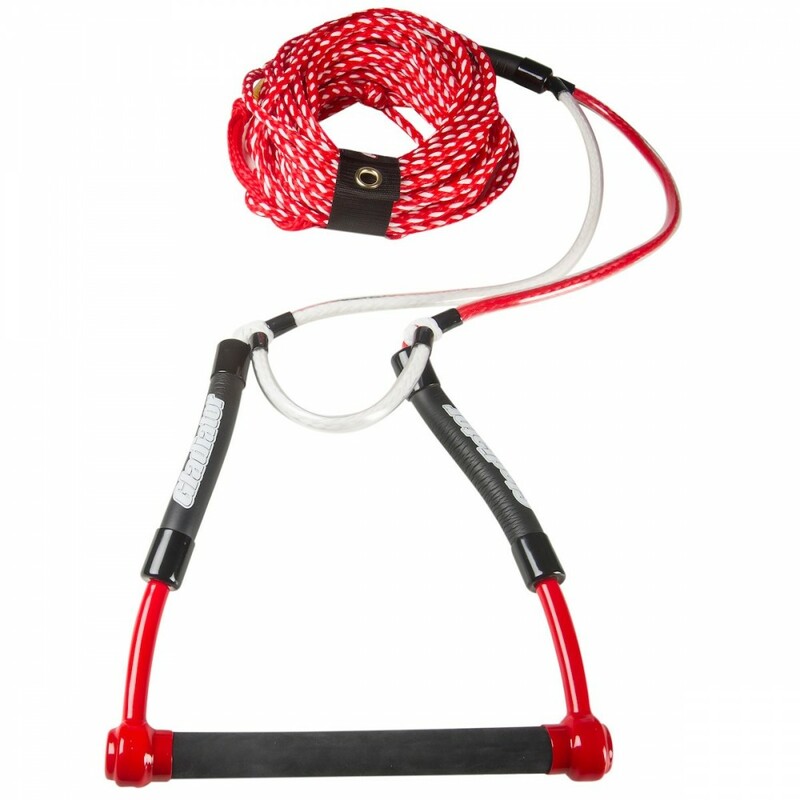 Make it easier on yourself and your student with the Gladiator Slalom Trainer Ski Rope. This piece features a deep V bridle, which slips over the ski and keeps it pointed straight as the skier is pulled up on top of the water. The rope is 70-feet long with a 1,500-pound test. The handle features an aluminum core, yet still floats. The V bridle fits wide-body skis up to a foot wide. For more information, visit Overton's. Aquaglide Airport Classic Towable Platform. Price: $360. The Aquaglide Airport Classic Towable Platform doesn’t look like much more than an air mattress with fixtures that let you tow it behind a boat. However, it’s more than that, and kind of a cool little piece. Sure, you can pull it behind the boat, but it’s also a great place just to sit and float. It’s a place for skiers to rest while you’re circling the lake with others or a place from which to teach dock starts on skis or wakeboards. There are options for a bimini top and a large angled backrest with storage compartments. For more information, visit Aquaglide. 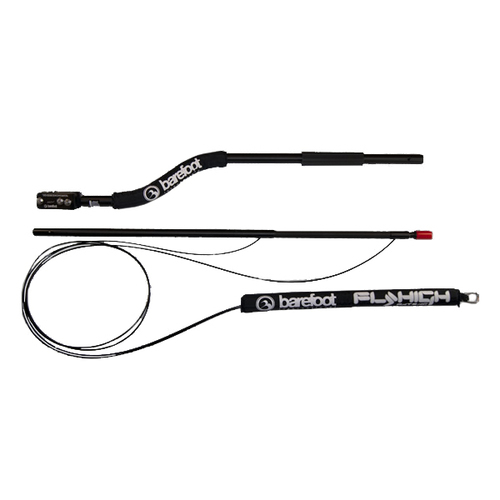 Barefoot International Gunnel Mount Boom. Price: $500. You think of a boom hanging off the side of a tow boat, you think barefooting, right? Right. It’s unavoidable, but a boom can be invaluable when teaching little kids and adults to start out on tandem skis, a slalom ski, wakeboards and wakesurf boards, and yes, barefooting. What’s more, they’re right next to the boat so you can instruct without shouting. For more information, visit Barefoot International. Clarion GR10BT Marine Stereo Receiver. Price: $150. 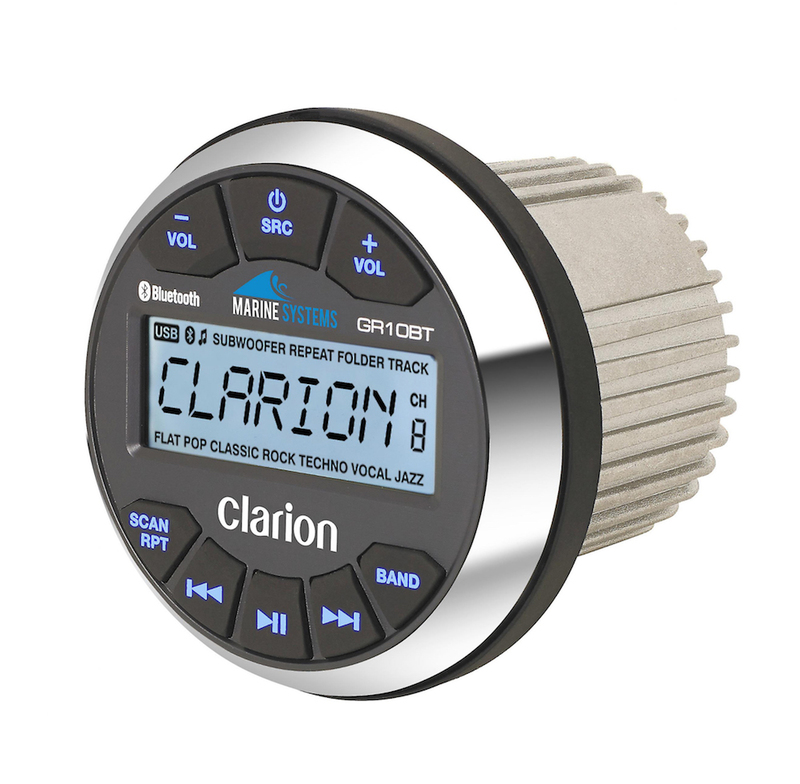 Upgrade your boat’s stereo receiver with the Clarion GR10B receiver unit. It features a built-in 16-watt amplifier for up to four channels of output. It’s got a three-band equalizer and built-in Bluetooth for streaming from your phone or other enable device. It fit’s into a standard gauge opening and comes with a rear USB input. For more information, visit Clarion. 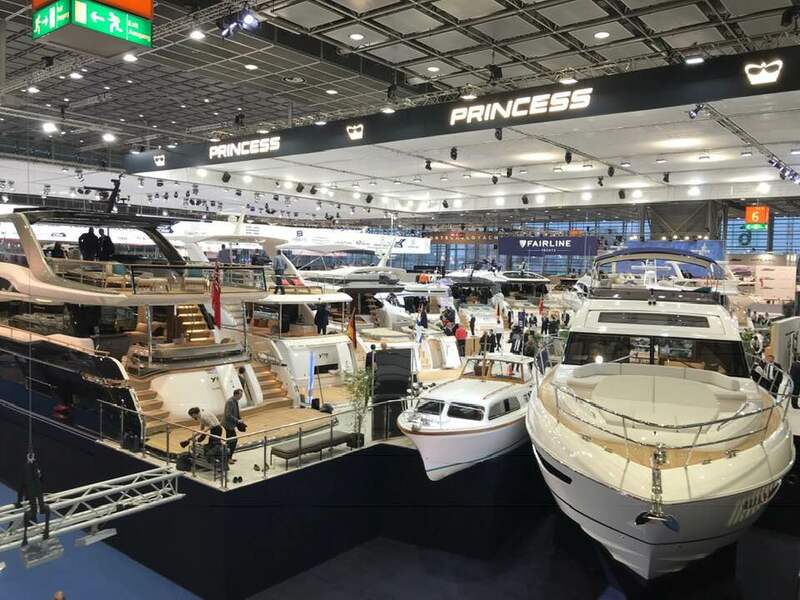 If you love watersports and can't get enough, be sure to read The Wonderful World of Watersports: All Things Towable. 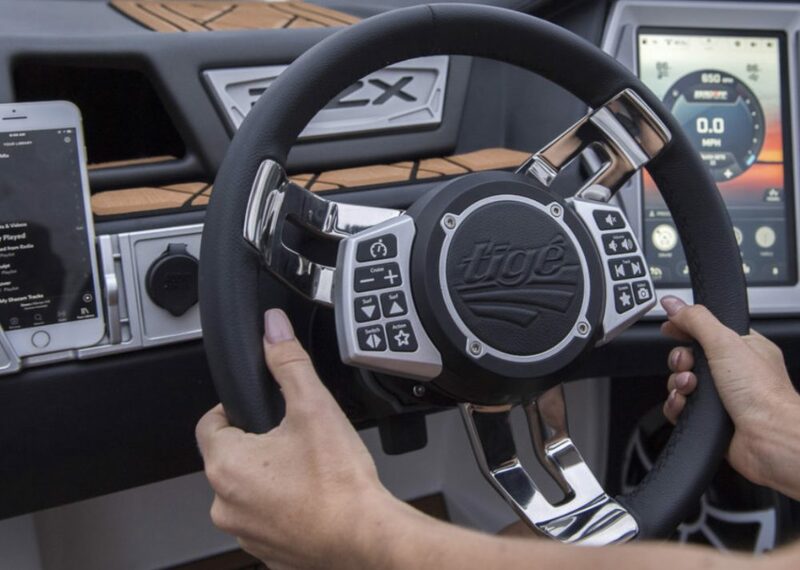 For more boating-related gift ideas, check out the Best Christmas Gifts for Boaters 2017.